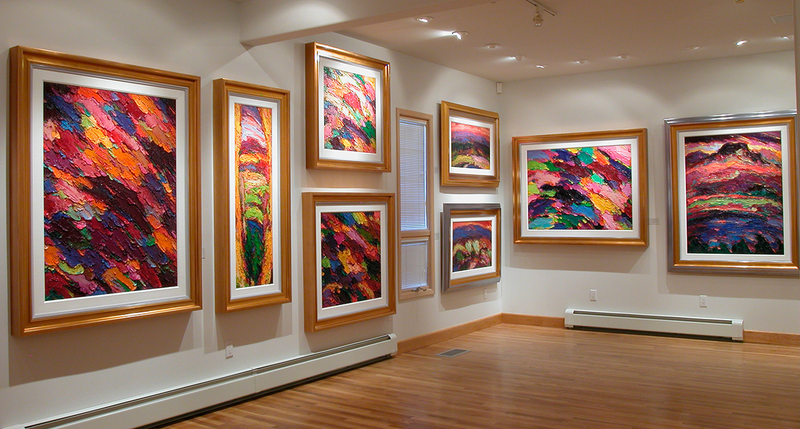 We welcome you to visit Rabby Studio & Gallery in Santa Fe, New Mexico. Joy, excitement and connection is experienced when you tour the studio. Be uplifted by the spirit of Jim Rabby’s art. Colors and texture capture the imagination and the studio vibrates with the energy of luscious oil paintings. Jim has a warm exuberant nature and he enjoys sharing his core level understandings. One of the sounds we hear a lot of when people visit is laughter, you’ll enjoy the visit!